Currently, only one four multiple drug resistant TB (MDR-TB) cases is detected and not more than one in two is cured, worldwide. So the death rate among this type of TB is very high both in India and outside. Read on to know how you can tackle it efficiently. Very few diseases have been romanticised in literature. Tuberculosis is one among them . Immortalised in prose and poetry through the Romantic and Victorian eras, this disease, caused by Mycobacterium tuberculosis bacterium, has a high mortality rate globally and in India. Ironical, isn’t it? The latest available Indian data on TB deaths suggests that in 2017 alone, the country saw 423,000 people losing their lives to this infectious, airborne ailment which mainly affects the lungs. In that year, our country witnessed 1.8 million cases of TB. These figures come from the Union Health Ministry’s National Anti-TB Drug Resistance Survey, 2018. What makes tuberculosis a challenging disease to treat is the fact that these bacteria develop resistance to multiple drugs making the medicines ineffective. According to the statistics of the same national survey, among the 1.8 million TB patients of 2017, 38,605 were multiple drug resistant (MDR) and 2,666 were extensively drug resistant (XDR), a more severe condition. MDR TB is a public crisis not only in India, but all across the world. Latest WHO estimates also point at this phenomenon. Their data reveals that currently only one four MDR-TB cases is detected and not more than one in two is cured worldwide. According to another global estimate, the death rate among MDR-TB patients is as high as 40 per cent while the figure is 60 per cent for candidates of XDR-TB. On World Tuberculosis Day today, let us decode MDR-TB and take an in-depth look at the challenges of this untameable disease so that we can tackle it in a more efficient way. Tuberculosis, as we all know is primarily a pulmonary disorder where your lungs are attacked by infectious airborne bacteria. Your immune functions are also affected by TB bacteria. Moreover, it can affect your other organs including brain, kidneys, bone, GI tract, so on and so forth. However, TB poses a greater challenge than multiple-organ infection or a compromised immunity: Drug resistance. 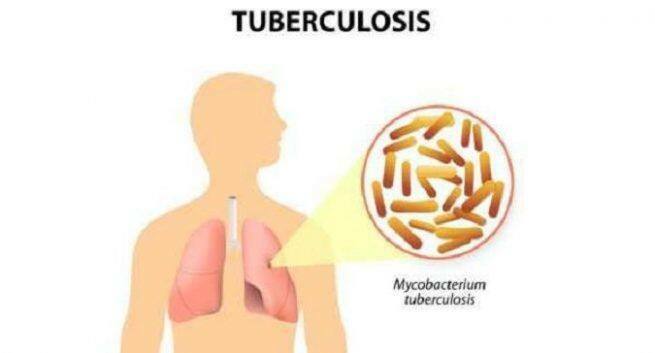 Drug resistant tuberculosis is a condition where the TB bacteria develop immunity against the available medicines. This condition, again can be further classified into two categories: Multi-Drug-Resistant TB (MDR-TB) and Extensively-Drug-Resistant TB (XDR-TB). 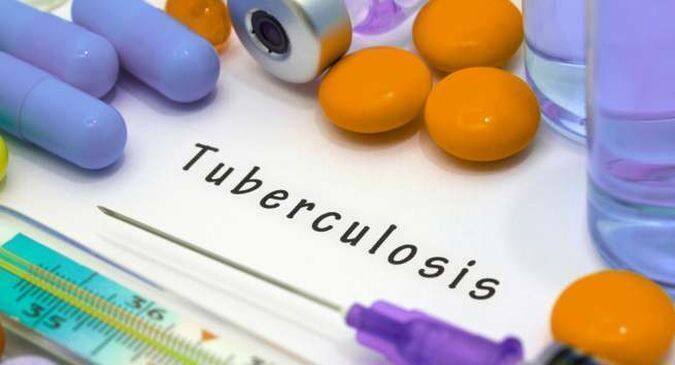 “MDR-TB is caused by the bacteria which have developed resistance to at least two strong first line anti-tubercular drugs: Rifampicin and Isoniazid. XDR TB patients, on the other hand, are not only resistant to the first line drugs but also to the second line drugs including Fluoroquinolones and injectables like Aminoglycosides, Capreomycin and Amikacin among others,” says Dr. PP Bose, Delhi-based pulmonologist and Founder of Saans Foundation. A TB patient is likely to develop multiple drug resistance if he or she stops taking medicines before the full treatment, follows wrong advice from the doctor on dosage, doesn’t follow the doctor’s instructions about the timing of the medicines, etc. “Alcohol addiction, smoking, unaddressed co-morbidities like diabetes or a lung disease may also increase a TB patient’s risk of developing multiple drug resistance,” says Dr. Bose. “When a patient with TB symptoms (cough, breathing issues, blood in the cough, fever, night sweats, etc. ), comes with this kind of a history, we ask for a chest X-ray as the first line of diagnosis for MDR TB. However, this is not a confirmatory test for the condition. If the X-ray report reveals spots or patches, many of which are quite old, we recommend sputum tests for three consecutive days. Positive results of these tests confirm that the patient is a case of open tuberculosis. The next step is to send him for a drug sensitivity test, which is again, a sputum test,” explains Dr. Bose. The line of treatment for MDR and XDR TB includes the first line and second line of anti-tubercular medicines and injectables plus the newfound add-on drugs like bedaquiline and delamanid. The duration of treatment ranges between 18 to 24 months. XDR-TB patients are not resistant to these add-on drugs which comes as a great relief to doctors and patients alike. However, the cure rate for MDR-TB in our country and the world is still very low. “A high-protein diet is essential for TB patients,” says Dr. Bose. “Whey protein, animal protein, eggs, chana, soya beans, etc. are important for them to combat the condition. They should avoid foods that increase your sugar levels,” he adds. This add-on drug, released in 2012, is a ray of hope for MRD-TB patients, especially those suffering from XDR-TB, as they are resistant to the second line of TB drugs too. “It is a very good drug which is known to shorten the duration of MDR-TB. It is used for XDR-TB as well,” says Dr. Vivek Nangia, Head and Director, Pulmonology, Medical ICU and Sleep Disorders at Fortis Flt Lt Rajan Dhall Hospital, Delhi. A 2018 study published in the journal The Lancet Respiratory Medicine, showed that death rate among MDR-TB patients receiving bedaquiline treatment was half (13%) compared those who were given the standard treatment without this drug (25%). In case of XDR-TB patients, the death rate was 15% among the bedaquiline group while the figure was 40% among those receiving the non-bedaquiline regimen. This drug works by blocking the function of the enzyme that the TB bacteria need in order to multiply. According to the WHO guidelines, it should be used only for MRD-TB and XDR-TB patients in combination with other drugs, not alone. Currently, bedaquiline is available in the form of 100 mg tablets which are supposed to be swallowed with water and taken along with food. Your doctor may suggest you to have 400 mg bedaquiline once daily for the first two weeks followed by 200 mg thrice a week over a period of 22 weeks. However, accessing this life-saving drug in India is still a challenge. It is expensive as well. Though the Indian government in 2016 promised to make this drug available in our country, most patients still don’t have access to it. “Bedaquiline is currently available only at select government centres,” says Dr. Nangia. “In case we feel that a patient needs bedaquiline then we send him to the National Institute of TB and Respiratory Diseases (NITRD). There the patient will receive bedaquiline but only after going through the assessments and tests of NITRD,” he says. Dr. Nangia feels that this restricted access is good in a way. “The kind of society we live in, where there is hardly any check or regulation, this drug may be overused or misused,” he explains. A new genetic-based test can now help in the early diagnosis of MDR-TB. “It is able to check for second-level drug resistance and gives us the report within a day’s time. It uses the sputum or any fluid that is sent, as the sample. The sample depends on the location of the tuberculosis bacteria,” says Dr. Nangia. The cost of this test is around Rs. 5000-Rs. 6000. It’s a big challenge to resist the spread of MDR and XDR TB. “These bacteria are spreading at an alarming rate. 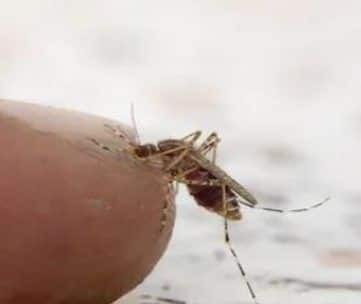 The patients and their family members need to be educated about the condition, the importance of medicine adherence and other restrictive measures that need to be taken sensitively to control the condition and prevent contamination ,” says Dr. Bose. However, according to Dr. Nangia, the challenge begins from the stage of MDR-TB diagnosis. “The diagnosis for this condition still takes two to three months in our country. It’s only after 8-12 weeks that we are able to figure out whether it is MDR-TB or normal tuberculosis. However, there are newer generation tests too, with much shorter turn-around times spanning between 1 to 5 days. The time varies from test to test. In a private sector hospital these tests will cost anything between Rs.5000- Rs.7000. But one can avail them mostly at selected private labs or hospitals only. Apart from these labs, these tests may be available only in national referral centres,” says Dr. Nangia. “The government needs to ensure infrastructure in Tier II and Tier III cities for the rapid diagnosis of TB and regular quality of good-quality medications. Also, the government needs to work closely with NGOs to keep a constant check on TB patients to ensure that they take the medicines regularly instead of quitting the treatment once the symptoms subside after two to three weeks. People who don’t adhere to the treatment develop MDR-TB,” he adds. The cost of the MDR-TB regime is very high. “It works out to around Rs. 500-600 per day for a span of 18 months to 2 years. The treatment cost needs to be subsidised,” he says. Another important aspect of managing TB is educating the general physicians. “They should be allowed to treat a TB patient only up to a certain extent. Beyond that they should refer to TB specialists,” says Dr. Nangia.